The Apostle Paul was a wonderful example of a disciplined believer. As you probably remember, He onces said, “Therefore, brothers, by the mercies of God, I urge you to present your bodies as a living sacrifice, holy and pleasing to God; this is your spiritual worship.” (Romans 12:1). Paul understood that discipline was a essential practice for the victroious believer. You see our bodies are in fact Temples of the Holy Spirit and they must be worthy of He who indwells them. That’s not something we often think about or take seriously, heck…we even joke around about it in church (you’ve heard the baptist bird/Christian buffet/”my belt is a fence for a chicken graveyard” jokes….yet God doesnt seem to find sinful behavior amusing. At all. We must use discipline when it comes to our physical body’s. When you serve sin, your body is dedicated to the service of sin. Your appetites, whetted by satan, rage unthrottled. God given creative impulses are sacrificed to satan on the alter of lust. But when Christ comes into our lives, we are to yield our bodies to Him. Be sure, our human frame is often a rebellious and unruly servant. Only through rigid discipline are we able to master it into complete subjection to Christ. We must, for the Glory of God, guard against appetites which offend the conscience, wither the soul and weaken our witness for Christ. Some automatically cringe at the thought of disciplining themselves in the area of food comsumption/care for physical bodies. After all, there is no “Thou shalt not eat snickers and drink a coke” in the Old or New Testements. I agree! Perhaps many things such as these are lawful…but are they expedient? They may in fact bring pleasure to us but do they bring glory to Christ? The Apostle was so passionate about making every thought and action glorify Christ that He said, “If an indulgence offends my brother, I will not indulge any more”. He had given his body as a living sacrifice! We need that kind of discipline today. 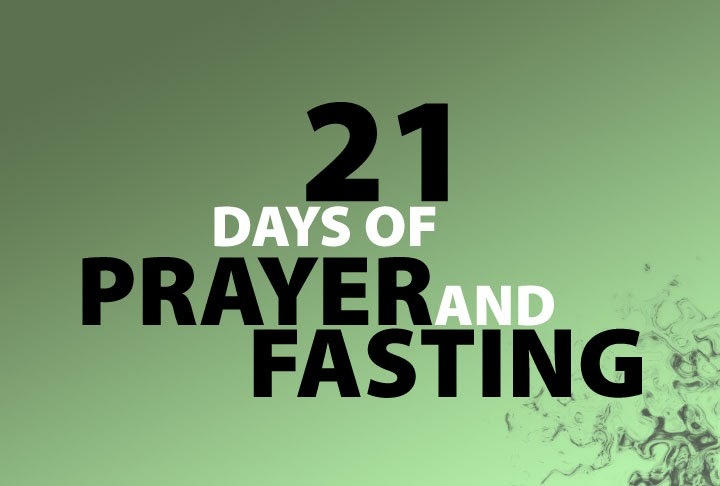 The practice of fasting is vital in our lives as it provides great instruction and help in the area of discipline in things such as our diet. We learn through fasting how to master our appetites in the Strength and for the glory of God. We learn sacrifice! *Is there an indulgence that has a grip on you? Bad habit? What is this fast teaching you about that? *How could the care (or lack thereof) of my physical body effect my testimony? What should I do about that?